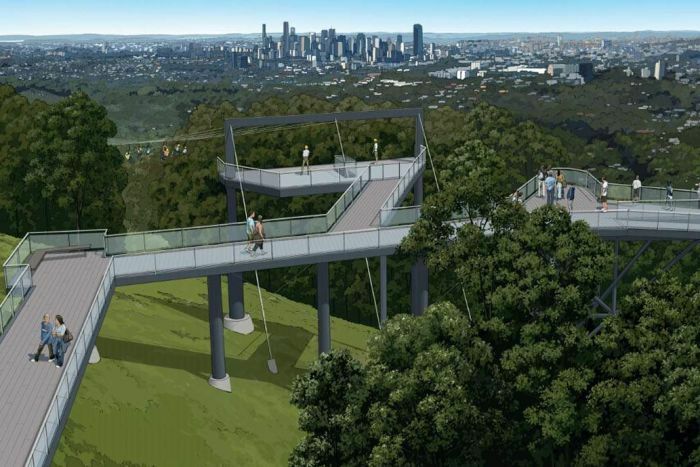 The Brisbane City Council has scrapped its support for the controversial Mt Coot-tha zipline project. In a statement, Lord Mayor Adrian Schrinner said he had sought advice from the Council’s chief executive and had advised Zipline Australia they were withdrawing support. The application to build the zipline is being appealed by residents and is before Planning and Environment Court. Council has put $300,000 into the project, with the remainder of the budgeted $1 million to be spent on other improvement works for Mt Coot-tha. The project had attracted the ire of many local residents, including local state MP Michael Berkman. “I’ve listened to residents from across Brisbane, together with strong advocacy from local councillors, and it’s clear that protecting Mt Coot-tha is something we can all agree on,” Cr Schrinner said. Map showing proposed zipline project on Mt Coot-tha in Brisbane. 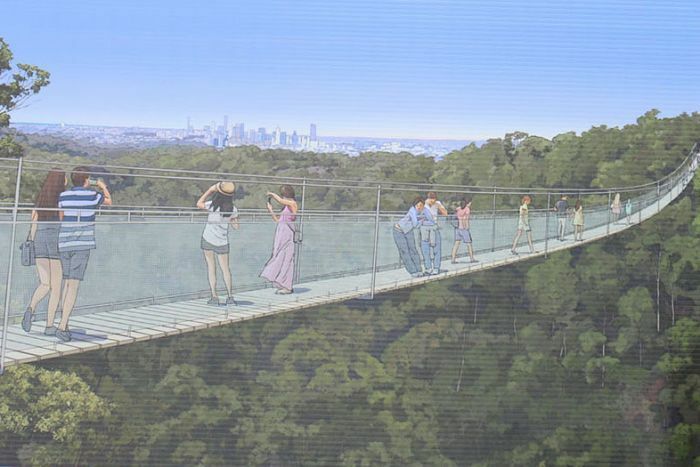 The three-stage zipline had proposed a 1.5 kilometre treetop canopy tour, the skywalk with a 335-metre suspension bridge and the scenic zipline tour with six parallel lines travelling more than a kilometre from the summit’s lookout to the Botanic Gardens. In November 2017, Zipline Australia had received a thumbs-up from Brisbane City Council to lodge a development application for the project, with the former lord mayor Graham Quirk enthusiastically backing the environmental tourism proposal. The project would have been Australia’s longest zipline, giving thrill-seekers the chance to speed through the treetops for 1,500 metres.